Did Labour Party conference pass you by? Then fear not, we’ve summarised the 6 key lessons from conference below. 1. The party has come to a (sort of) compromise on Brexit. The contemporary motion passed by delegates outlining Labour’s position is about as close to a consensus as we are going to get. However, it shouldn’t be seen as policy, more a set of reactions to a series of increasingly unlikely scenarios. The resolution confirms the following: Labour will vote against any deal that falls short of Keir Starmer’s six tests, if a deal is not agreed then Labour will call for a General Election. In the event that there is no deal agreed and no General Election Labour will then call for a second referendum. What remains contentious is the question posed by a second referendum, we are no wiser as to what a Labour government would ask the public in the event of a second vote. 2. Corbyn’s revolution of internal party structures continues. However, any changes to how local authorities choose Council Leaders has been shelved for the time being. Other key rule changes mean that it will be more likely for Labour members of parliament to face re-selection battles, whilst the trade unions will have more of a say in which candidates can run for leader in a future contest. 3. Corbyn isn’t going anywhere for the moment. Whilst there are plenty of noises off, his hold on the party remains total. There is still a constituency of MPs and members who actively despise the Corbyn project, however, the majority of party members adore the current Leader and would stick by him in the event of another leadership contest. Look no further than the rapturous standing ovation Corbyn received at the end of his speech. 4. A number of possible future leadership contenders are gaining prominence. Two of the most talked about successors include Emily Thornberry and Angela Rayner, especially as calls for Labour to elect its first ever women leader grows stronger. Keir Starmer’s stock will have also risen following his well-received assertion that no one is taking remain off the table in the event of a future Brexit referendum. It should also be noted that John McDonnell remains a popular choice amongst Corbyn supporters if the need for Corbyn 2.0 ever arises. 5. Labour is launching a review of the planning system. Whilst development got little attention on the conference floor, Roberta Blackman Woods, Shadow Minister for Planning and Local Government, launched a commission to review and “democratise” the planning system. The member of parliament for the City of Durham said she had the appeal system in her sights and that there would be a public call for evidence on 25th October followed by a series of regional meetings. You can find the Shadow Secretary of State for Communities and Local Government article on the subject here. 6. Not much new to say about housing. Corbyn reaffirmed Labour’s position that was set out in April, committing to the construction of millions of new council homes and the provision of secure tenancies in the private rented sector. 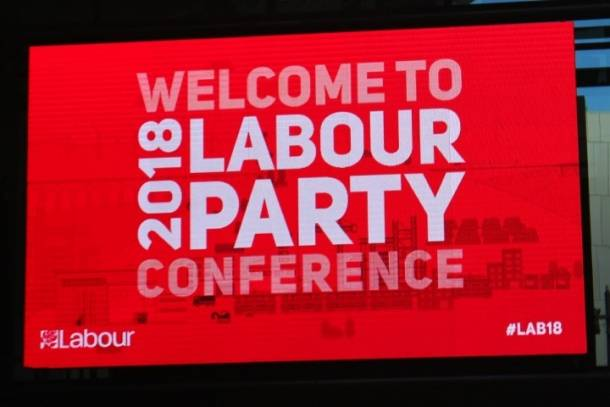 Tensions between Momentum and moderate Labour councils remain high, however the focus was absorbed by Brexit, rule changes and the continuing anti-semitism scandal in the party. As a result, discussion regarding how a future Labour Government would encourage house building was very much pushed to the fringes, more so than in recent years. Overall conference was a much less dramatic affair than it has been over the past few years. Opposition to Jeremy Corbyn remains from within, however it is much less vocal. The contrast with Conservative Party conference is likely to be stark and divisions much more apparent, watch this space.